Cartago is a neat, charming, little town just outside the bustling metropolis that is San Jose, Costa Rica. It presents visitors with a colorful and laid-back atmosphere that culminates within its lively town center. A large paved square surrounded by retailers with pumping music and appealing eateries attracts scores of visitors to what is obviously Cartago’s heart. Oddly, the ruins of a church embellish this central location, adding what is an equally beautiful and eerie touch to the area. 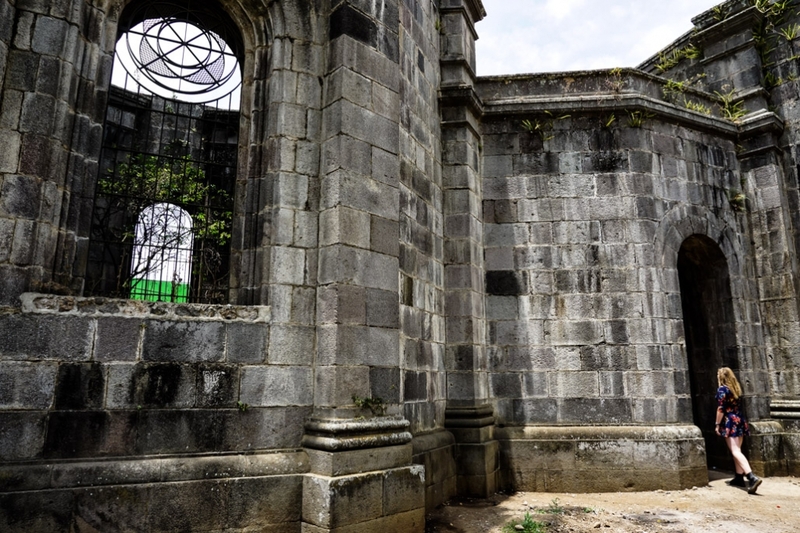 The front entryway to the haunted and cursed Cartago Parish Ruins. Cartago’s Las Ruinas De La Parroquia are the ruins of an old church, continuing to stand as an omen to its own long and turbulent history. The sinister looking dark stone structure has become interestingly inviting since being converted to a public garden area. Today, it is surrounded by green lawn and contains benches, a calming water feature and a colorful array of flowers that blanket its interior. 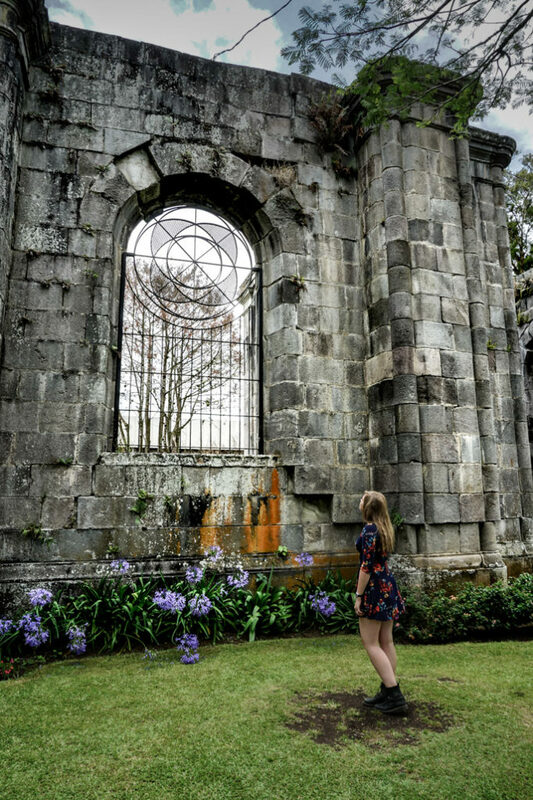 The Cartago Church Ruins are now surrounded by well maintained, beautiful gardens. Though the ruins are a charming attraction during the day, its atmosphere and character dramatically change after night fall. Darkness fills the ruins with shadows that dart from wall to wall, between gothic windows and barred off entrances. 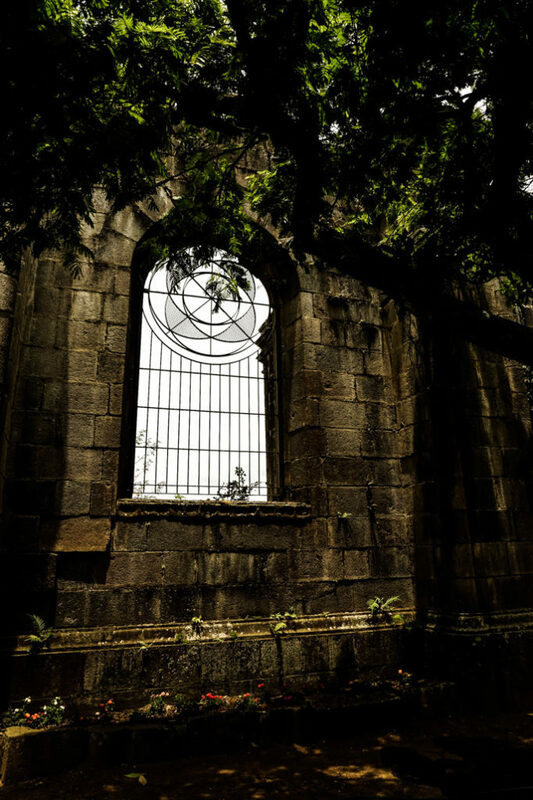 It is no wonder why the Ruinas De La Parroquia are thought to be one of the most haunted places in Costa Rica. Outside Las Ruinas De La Parroquia at night. 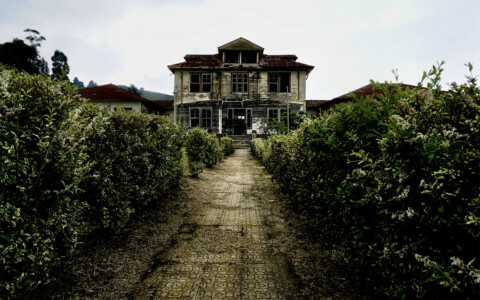 Thought to be one of the most haunted places in Costa Rica. 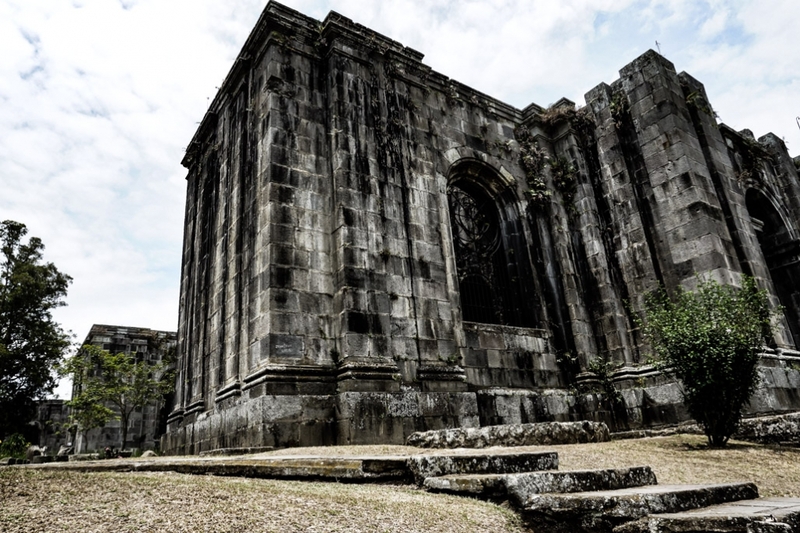 The Cartago Church Ruins are surrounded by mysterious legends and thought by many to be cursed. These legends have stemmed from the church’s long history of failed construction, natural disasters and even murder. 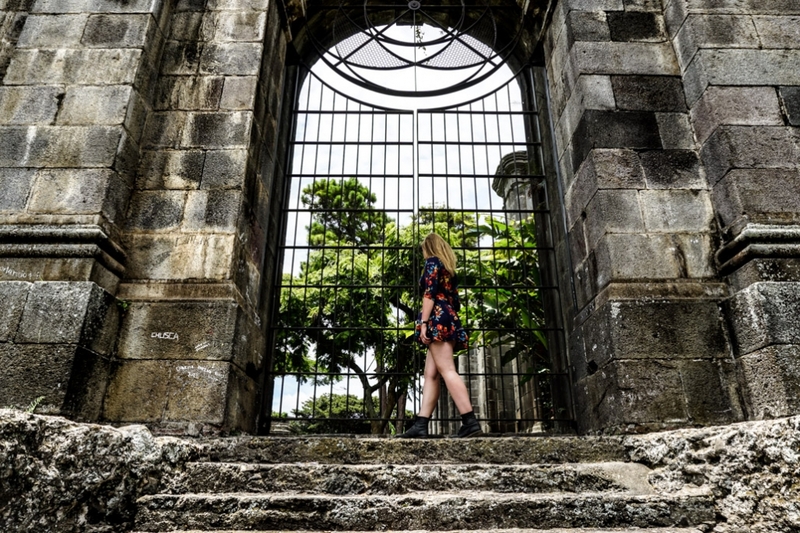 Exploring the haunted church ruins in Cartago, Costa Rica. The Cartago Parish Ruins site dates back to 1575. At this time, the initial construction of a church began, built in dedication to the first patron saint of Costa Rica, Santiago Apostle. This parish and each attempt to rebuild subsequent churches were destroyed by earthquakes. Construction on the structure that remains today began in 1870. It was halted years later in 1903 and for the final time again in 1910, when a devastating earthquake destroyed its foundations. 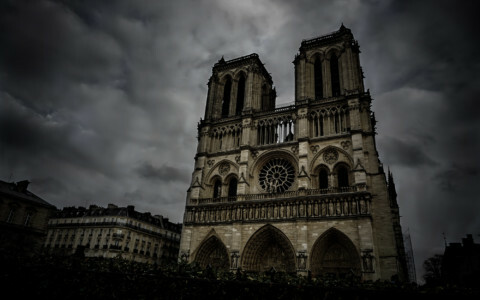 After so many failed completion attempts, the church was considered to be cursed and kept in its current unfinished state. Yet, there is more to the curse’s story to be told. 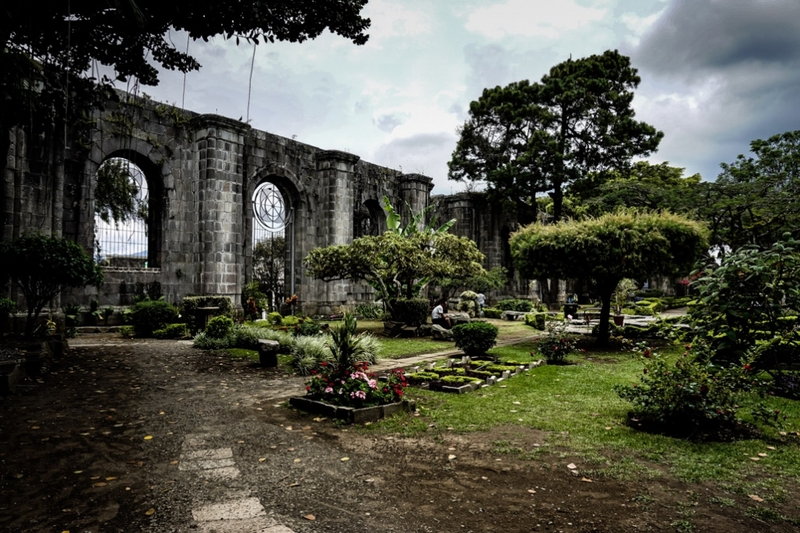 Another view of the charming gardens inside the haunted church ruins of Cartago, Costa Rica. Years before the string of devastating earthquakes, Cartago’s local priest met a terrible fate. It is told that this priest engaged in a love affair with his own brother’s wife. The priest’s brother happened to be an angry, jealous man who was held great power within the community as its Mayor. Upon learning of his wife and brother’s betrayal, the Mayor decided to exact revenge. It is told that he murdered his brother, buried his body underneath the church’s ground and used his political influence to hide the crime he had committed. 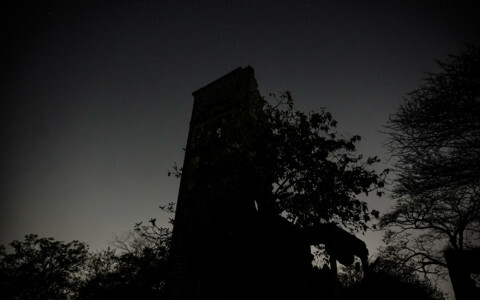 Since then, countless sightings of a headless priest, wandering through the Cartago Parish Ruins at night have arisen. Many believe that the ghost of this headless priest could be the reason why the church was never completed, having cursed the ground he was murdered upon. 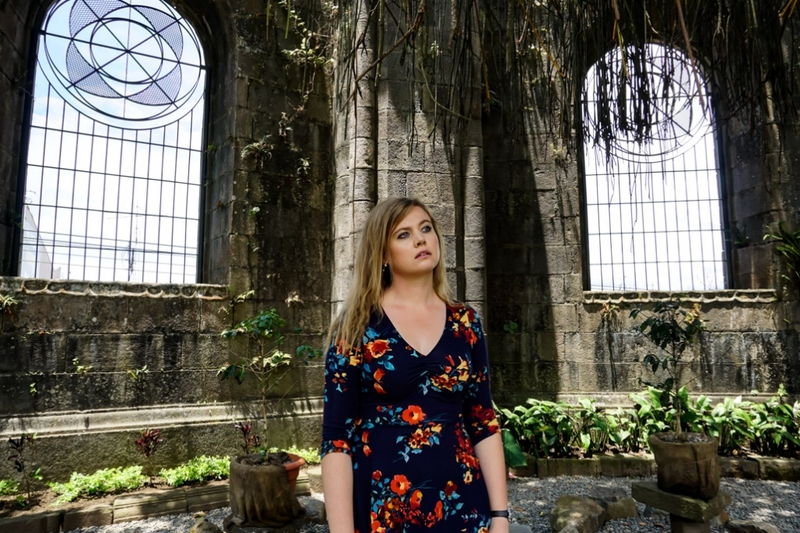 Looking for the ghost of a headless priest at the Cartago Parish Ruins. Make sure to check out my video exploring the Cartago Parish Ruins, where I conduct a spirit box session at night! Exterior view of the church ruins in Cartago, Costa Rica. Cartago is a truly charming, small town just outside of San Jose. It’s a great spot to escape the city for a while, enjoy some beautiful sights and a great stop over location for anyone headed to the nearby active volcano, Irazú. The beautiful architecture of the Cartago Church Ruins. 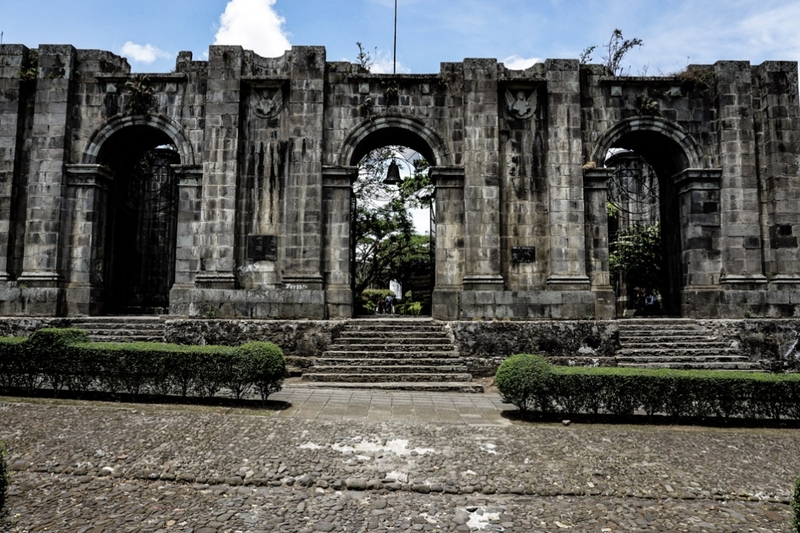 No visit to Cartago would be complete without checking out its town center, where you’ll find the famous Las Ruinas De La Parroquia. It is a great place to explore and spend a few peaceful hours, I’d recommend it as a spot for lunch. The gardens are beautifully maintained, making this a stunning and popular place to snap some photographs. 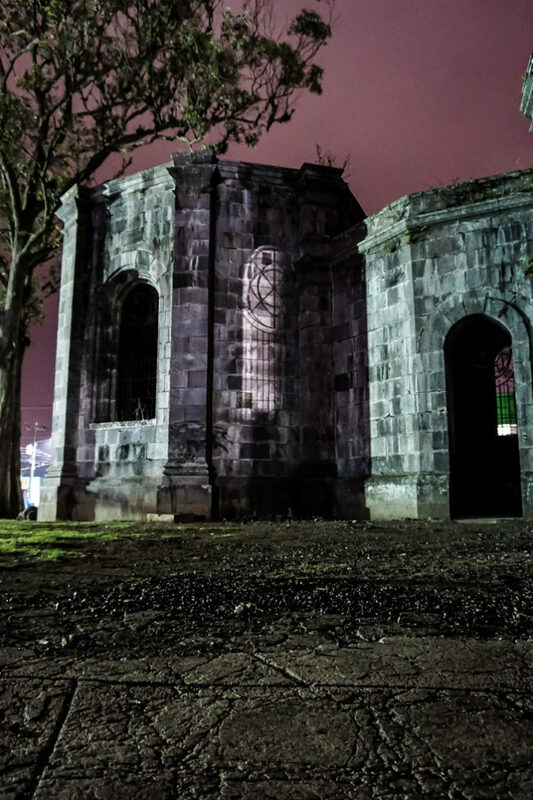 Inside Cartago’s haunted church ruins at night. If you are a fan of the paranormal and are in the area, nighttime visits are pretty cool. You won’t be able to access the interior of the ruins as they are closed at dusk, but there is definitely a different feeling to the location after dark. 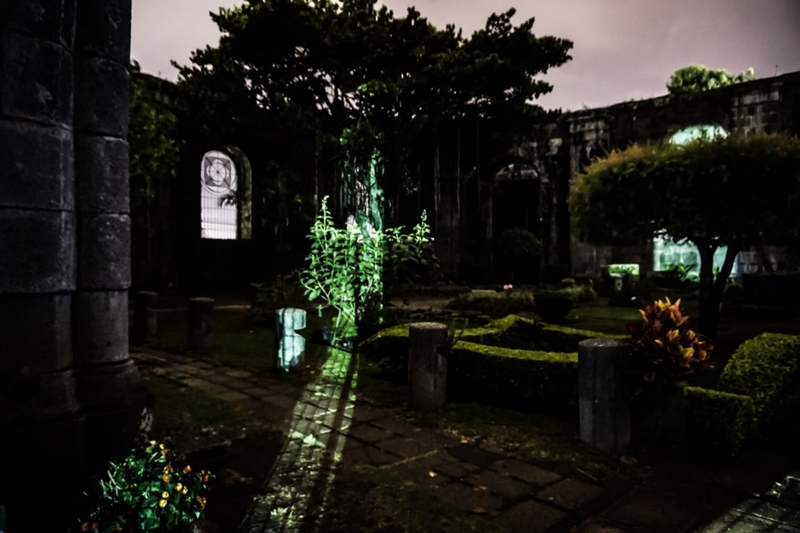 Visiting the haunted and cursed Las Ruinas De La Parroquia in Cartago, Costa Rica. If you enjoyed this blog and are looking for other haunted places to check out in Costa Rica, I highly recommend visiting the San Lucas Prison. Thanks Sameera. Appreciate the comment.